10 x 3.5 LITRE PLASTIC STORAGE BOXES!! CHEAP !HOME ACCESSORIES MAKEUP ANYTHING!! 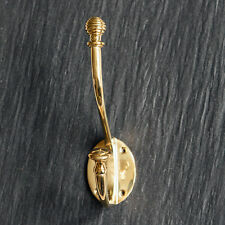 Manufactured from a traditional design with the top hook finished with a beehive finial. A superb quality solid brass double coat hook, stunning on it's own, or as a row mounted on wood, or direct onto the wall. 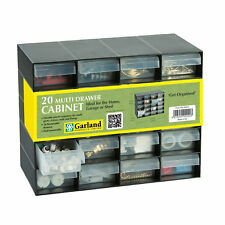 This 20 multidrawer cabinet by Garland is a durable plastic organiser. It is the ideal storage solution for your little odds and ends such as small parts, screws, nails and fixings. Garland 20 Multi Drawer Cabinet. Extra Large In Size So ideal For a Family. Order before 12pm and we will try and send it out Next Via DPD. Pine wood open storage crate with handles, box joint corners & hinged lid. The script on this tin reads: Man Tin (Leads, screws & other pointless stuff I must keep). Fun storage tin featuring the old style block printing in Blue and Black known to Rachel Bright Products. Pine wood box, complete with box joint corners, lid, hinges and clasp. Silver-gray matte racing strip on locker. Includes 3 Wall Cabinets. Includes 2 Base Cabinets. Includes 2 Three Drawer Tool Cabinet. 2 Three Drawer Tool Cabinet. Bike is not included. Key Features. valid phone number is. The Bellini 2 Door Shoe Cabinet with 7 Shelves provides an effective way of keeping shoes tidy. Oak - Brown wood veneer. Walnut - Natural wood veneer. White – Simple white veneer. With two smooth opening doors which reveal 7 height adjustable shelves. Pine wood open storage crate with handles. and box joint corners. 60.0 x 40.0 x 14.0 CM. The Bellini 2 Door Shoe Cabinet with 7 Shelves provides an effective way of keeping shoes tidy. Organise your hallway and create a stumble-free territory. With two smooth opening doors which reveal 7 height adjustable shelves. 6 Very Durable-Stable Storage Wooden Fruit Apple Crates Boxes Home Decor-Clean ! The boxes are very strong-solid, easy to paint but they look good in the natural style as well! 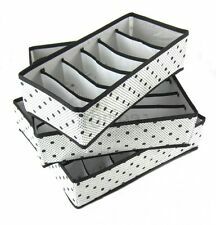 They are perfect to use as a storage box or to keep your flowers, fruits or vegetables in them,and perfect to arrange them bookshelf, decor living room or on a patio etc. This beautiful Contemporary 2 Tier bookcase is suitable for the living room, dining room, bedroom, study or office. Colour: beech veneer/ light oak. We will then advise you on resolving this issue, through repair where necessary. 60L Plastic Laundry Basket. Rattan (weave design). This stylish laundry basket is a space saving solution. 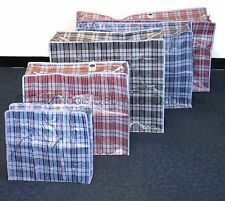 IDEAL TO USE FOR LAUNDRY & STORAGE. We're rated 5/5 for service! Want to know more?. Why Buy from Us?. Have a cluttered work bench?. Are you taking up space with a big bulky cabinet in your garage?. Save space with these heavy duty aluminum shelves designed to go directly on your walls. Pine wood open storage crate with handles and box joint corners. 60.0 x 40.0 x 14.0 CM. The Star 2 Door Shoe Cabinet with 7 Shelves provides an effective way of keeping shoes tidy, off the floor and away from the door. No more digging through piles of shoes to find the ones to suit your outfit. Six hooks provide ample hanging storage to keep your tools organized and within reach. The 48 in. Color matched screws and a drill bit are included for quick and easy installation. Hooks are manufactured of carbon steel for long-lasting durability, with a vinyl coating to defend your stuff from scratches and dents. Pine wood open storage crate with handles and box joint corners. 30.0 x 20.0 x 14.0 CM. With many years of experience in the field each forged item is finished to exacting standards. Made in my forge in Bedfordshire England.This Traditional spiky iron Barn hook has been crafted with care to enhance any interior. 48"W x 24"D x 72"H 5-Shelf Steel Shelving. 5-shelf steel shelving with Z-beam construction for strength and rigidity. 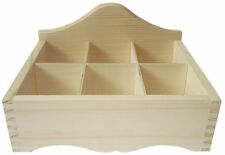 Shelves adjust every 1.5" and have a durable black finish. Weight capacity: up to 4,000 lbs distributed evenly over the entire unit. IKEA of Sweden. - Also suitable for waste sorting. Product is possible to recycle or use for energy recovery, if available in your community. Do not wash. Do not tumble dry. Bag/ Webbing: 100% polypropylene. Rustic Strong&Solid Smoked Storage Wooden Fruit Apple Crates Box - Clean!!! Rectangular Plastic Handy Baskets. Ideally Made To Fit in Any Kitchen Shelf. Small : 25 x 16 x 8 CM. With hooks on back, ready to hang. Wall mounted shelf and drawer. Seems many are not finding the choices. was in sealed box. box says it holds up to 35 lbs. SOLID WROUGHT IRON ( UNLIKE OTHERS WHICH ARE JUST COATED OR IRON LOOK ). REALLY STRONG HOOKS. EACH HOOK - 11.5 X 5.3 CM - THIS MAY DIFFER SLIGHTLY AS THEY ARE HAND MADE AND EACH IS INDIVIDUAL. GEARBOX BEDSIDE STORAGE CADDY #65943. 12.5"Wide X 5"Deep X 10"Tall. 1-2-3 Strong&Solid Storage Wooden Crates Apple Fruit Boxes Shelf Decor - Clean ! CASTERS: 4 omnidirectional casters allow the unit and be moved around, and 2 of them can be locked when stability is needed. Our rack's adjustable leveling feet allow the shelving unit to be placed on uneven ground, while the distance between the bottom shelf and the ground can also be adjusted to your preference. Garland 30 Litre Dry Bin. 1 x Garland 30 Litre Dry Bin. • Great way to organise your garage or storage shed. • Works great for storing pet food and bird seed. • Built-in scoop. The specially shaped lid is designed to channel water away from the main container. Our Cast Iron hooks are Hand Cast then hand finished. None of our hooks are mass produced making each item individual. We are very proud of our hooks and hope that you will enjoy using them.